Fiber based, Super High speed with 24 hour live phone and email support. 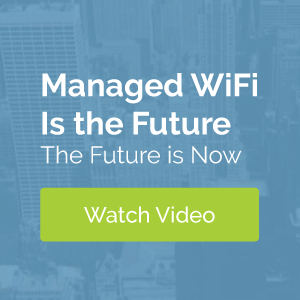 Robust, full-coverage wireless network that is a true property-wide WiFi Solution. TV designed for the way your residents watch TV. We work with building owners and managers to provide high quality Internet, wifi, and video services to everyone who lives or works in their buildings. When you team up with DojoNetworks™ you can rest assured that anyone living, working or simply staying in your building will enjoy a fast and easy connection to the content they care about. And you reap the benefits of working with one expert who takes care of all of your MDU Internet services. We primarily work with off-campus student housing and high end apartment buildings, we also work with hotels, fraternities, adult living, and hospitals. If you own a building with lots of people who need access to high quality and high speed Internet then we can provide a solution for you. It all starts with a conversation about how DojoNetworks™ can improve your networks. We design custom plans to match the correction solution for each unique property. Our build process is as swift as possible with minimal disruption to current residents. The last stage of our build process is to full test all connections, access points, and speed. Support is Dojo Network’s #1 concern. See what our customers have to say below. DojoNetworks™ has allowed us to provide our residents with reliable high speed internet and TV. With their help, we are able to provide these amenities at no additional cost to our resident making it a true investment into our business. Their service had worked well and our residents have been very happy with their service and support. Fast, reliable and cost-effective Internet service for MDU’s. DojoNetworks™ has done a tremendous job for us over the years. It is a win-win solution for landlords and tenants. Highly recommend. We are very pleased with DojoNetworks™ you started providing at some of our properties last year. The installation was well planned & well executed. There was little inconvenience to our residents and we had no complaints from them. Our residents have been pleased with the quality of the service and they especially like that it is now included in their rent. Your customer service since installation has also been very good for both out residents and our staff. We are looking forward to expanding DojoNetworks™ to the remainder of our student properties this Fall. Offering our tenants internet through DojoNetworks™ has been a great experience. They are quick to respond to any internet issues and the internet is always fast! Through top of the line technology and professional support. If you are not a landlord, use our contact forms here. Note: We only support properties with a minimum of at least 20 apartments. Do your apartments have Cat5 or Cat6 wiring that is home run to a demarcation point? Are you currently providing Internet or TV as an amenity?